Pender’s American Heritage Girls will host an Ash Wednesday Spaghetti Dinner on March 1st, at 6 p.m. (served until 6:45, prior to our Ash Wednesday Service). Donations welcome, proceeds will help support the needy in our community. Dinner includes your choice of white or wheat pasta, meat or vegetarian sauce, garlic bread, salad & dessert. Gluten-free option available if requested in advance. 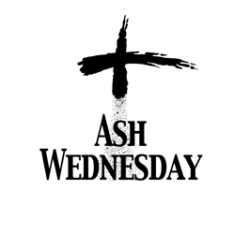 Join us on March 1st at 5:30 am for a Prayer Service with Ashes and/or at 7:30 pm for our Ash Wednesday Worship Service. Ash Wednesday marks the beginning of the season of Lent. Lent is a time when many Christians prepare for Easter by observing a period of fasting, repentance, moderation and spiritual discipline.